The 2014 golf season is right around the corner and we couldn’t be more excited! After a record breaking, long and cold winter, we are certainly ready to enjoy a great spring and summer. We can’t wait to see you all again at the course! Due to popular demand we will be bringing back our Local Resident Rates for the 2014 season. Local Resident Rates will be 10% off our regular Rack Rates; for full information on our daily rates click here! New forward tees for ladies and seniors will be built this spring and ready for late May! Opening day is projected to be Thursday, April 24th. The Proshop is thrilled to bring you a special offer from Titleist running through April 28th. Golfers who purchase three dozen or more Pro V1 or Pro V1x golf balls will receive one dozen free! And to top it off, Titleist is also providing you with personalization options. 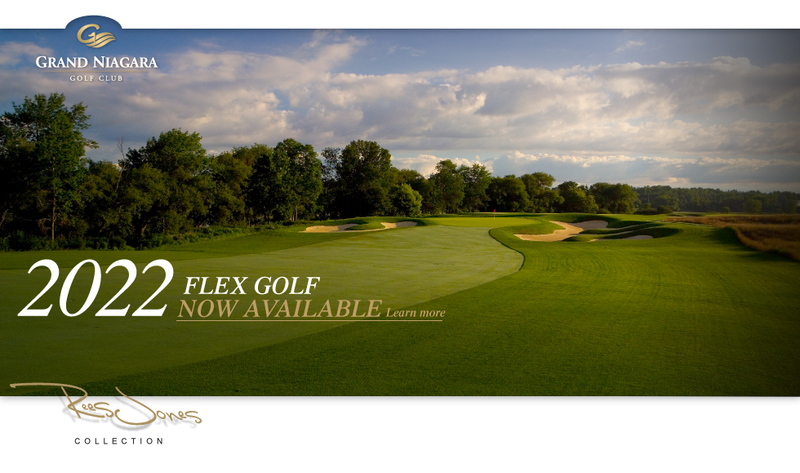 Click here to go to our Facebook page for full details and call the Proshop today! Contact us, share pictures, stories & join our Grand Niagara community on Twitter and Facebook. The winter of 2013/14 will be remembered for the huge amount of snow, sustained frigged temperatures and ice storms. Last May I wrote a newsletter article, “Poa: Friend or Foe” in which I discussed the pros and cons of the weed/grass known as annual bluegrass or Poa Annua. This winter has provided us with a definite example of all the cons with the Poa plant. Many golf courses with Poa Annua for their putting surfaces are having major problems. This winter has caused severe damage, some cases death, to the majority of the Poa greens. Causes vary from prolonged ice cover to low temperatures but the results are the same; dead or severely injured Poa. Unfortunately, there is no quick fix for recovery. Areas will have to be over-seeded and then mother nature will need to co-operate and provide warmer weather to aid in seed germination. The results of this winter on Poa will be seen for a long time. Turf that is weak from winter damage and recovery will now go into the heat and stress of a long hot summer already in a vulnerable state. It can be a long, long season for many Turf Managers. Fortunately, here at Grand Niagara our Bentgrass putting surfaces have come through the winter in very good form. The abnormally cold conditions have set our opening day back a bit, but we are on track to open with very good turf conditions moving forward into the 2014 season. As for the original title “Poa, Friend or Foe”, I think it is safe to say that in the spring of 2014, it is definitely a foe. Nowhere will you find a greater love/hate relationship than the one that exists between Golf Course Superintendents and Augusta National Golf Club. We love watching the tournament as much as the next golf fanatic but the expectation placed on our industry in general by this “tradition unlike any other” is enough to make many Superintendents pull their hair out. Augusta is closed during the heat of the Georgia summer. The course shuts its doors shortly after the completion of the Masters Tournament in April and remains closed through the summer, opening back up in the fall. All major maintenance to the golf course is done when it is closed. With the exception of the greens which are Bentgrass, Augusta features Perennial Ryegrass playing surfaces during the months it is open. During the summer the Perennial Ryegrass in the trees, fairways and rough withers and dies with the heat, while the underlying Bermuda grass dominates. 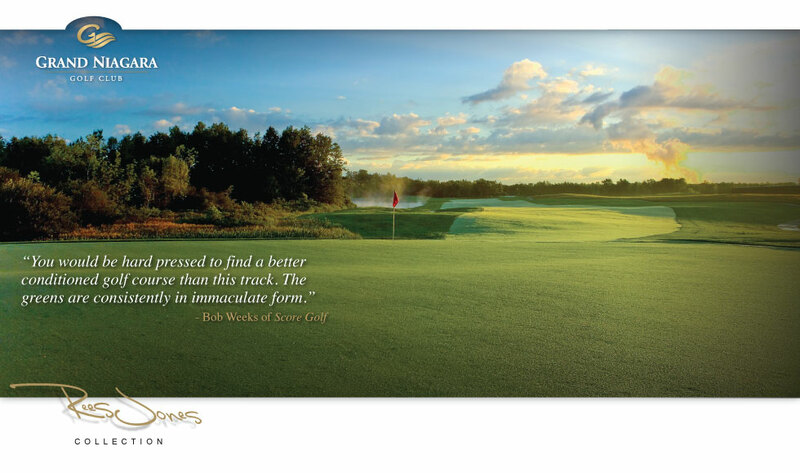 Each fall before reopening, Ryegrass is reseeded and becomes the beautiful surface on which The Masters is played. Many of the micro-climates in which the greens are located are “climate controlled”. The putting surfaces feature sub-surface heating and cooling. On shaded greens, artificial light is used to maintain quality turf and during the summer, greens in full sun are covered with shade tents to lessen heat stress. Putting surfaces at Augusta are frequently rebuilt meaning turf and rootzones are almost perfect for maintaining excellent playing conditions. As a Grand Niagara member, you can access a host of benefits with a ton of savings.